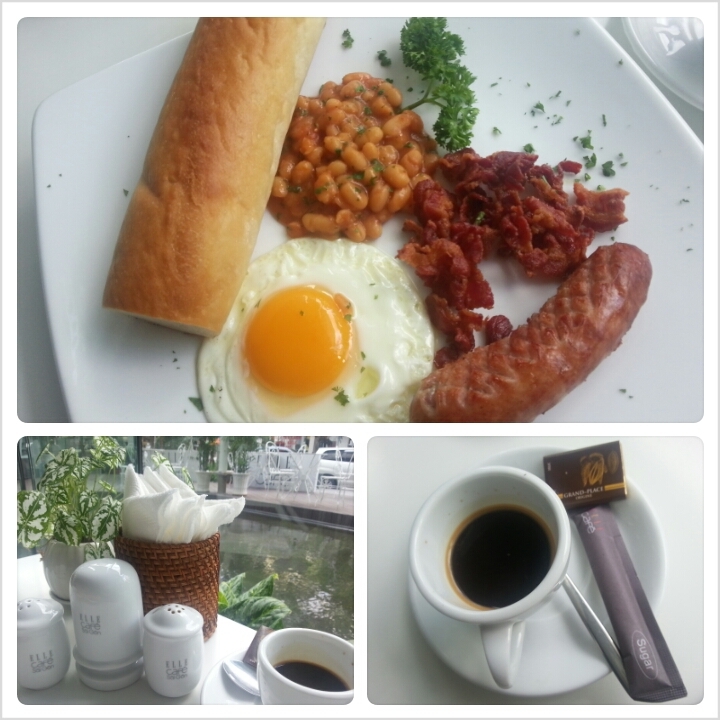 Elle Cafe | Hello Saigon! 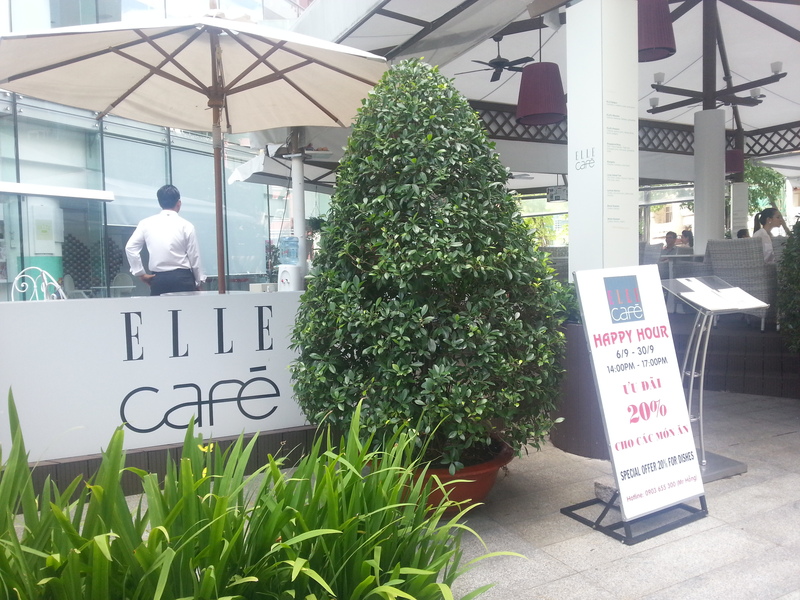 In my search for decaf, I found myself at Elle Cafe situated at the bottom of the Bitexco Financial Tower. With its pristine white color, Elle Cafe definitely stands out against the dreary buildings around Ho Tung Mau and Ngo Duc Ke streets. 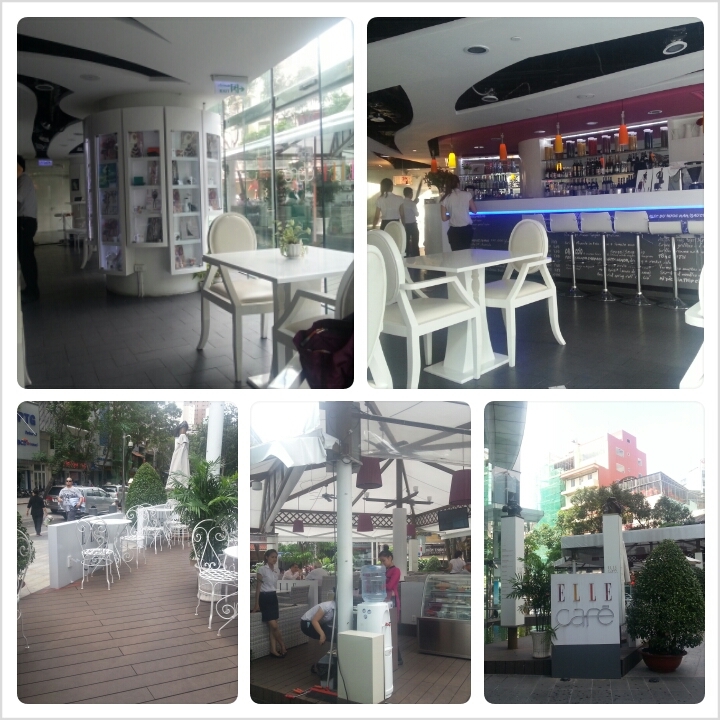 It’s composed of an outdoor and indoor cafe and the food I think is good BUT pricey. Beautifully presented like that of in a hotel cafe or restaurant. It looks bright and breezy inside and out with the glass walls giving continuity to the outdoor cafe to the inside cafe. Meaning, yes, you can still people-watch wherever you’re seated. Unless of course you want to eat at the booth at the back. Elle Cafe serves full meals as well and of course, alcohol. Check it out at the Bitexco Financial Tower. This entry was posted in Gastronomic Delights and tagged Bitexco Financial Tower, Elle Cafe, Ho Chi Minh City, Saigon. Bookmark the permalink. Pingback: What was the Word in November? | Hello Saigon!